My 5th great-grandfather Carl Tolf was a master blacksmith (hammarsmedsmästare) or in the words of Google Translate a “blacksmith’s hammer champion“. Carl lived primarily in Lindefors Bruk, Svenarum, Sweden for 60 years. 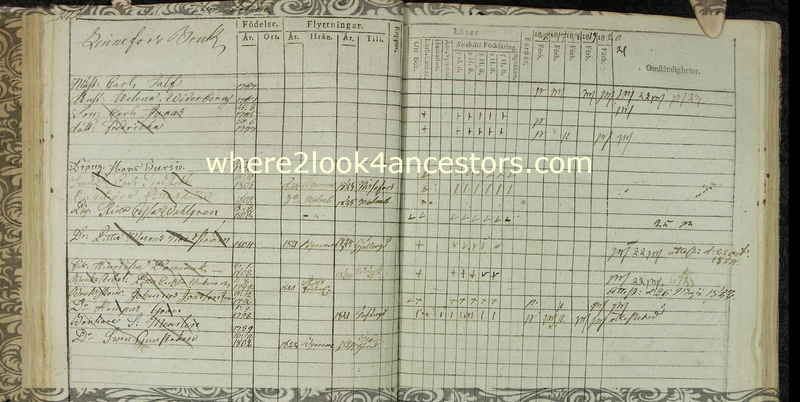 One of the first shiny objects on ArkivDigital that caught my eye was Carl’s estate inventory (bouppteckning), a document somewhat similar to probate records in the United States. This record contains a treasure trove of genealogical information – I can’t wait to read what it says! Helena Jonasdotter Widerberg (1767-1841) and Carl Tolf (1767-1827). My 2015 goal for Carl is to translate and transcribe his bouppteckning. My 2015 organizational goal for Carl is to bring all of his documentation from out-of-date to up-to-date on Ancestry, Dropbox, Family Tree Maker, and in his paper files.